If you owe back taxes to the state of Connecticut and the federal government, tax debt relief solutions can help solve your problems. There is no point in wasting time with tax debt evasion. 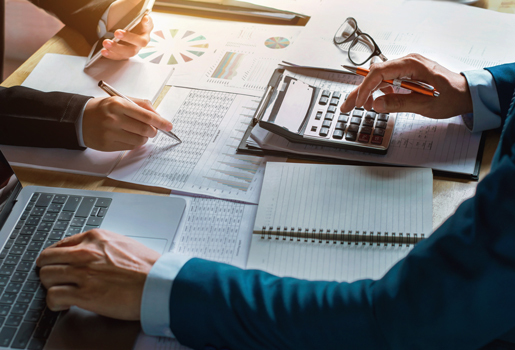 It’s high time that you consider hiring a tax debt resolution expert and learn more about the options you have to fix your tax debt problems. Speak to a Tax Expert about Connecticut Tax Debt Relief. Contact us now! What Happens When You Don’t Pay Federal & Connecticut State Tax? The Connecticut Department of Revenue Services provides a number of programs to help those who couldn’t pay their taxes on time. Some of these include Installment Payment Plans, Offer in Compromise, Penalty Abatement, and Innocent Spouse Relief. If you have been ignoring the government’s notices, a penalty fee will be added to your tax bill to serve as a form of punishment for not paying taxes on time. The relevant authorities may also impose tax liens to claim your assets. It means that you cannot sell them unless your tax debt is resolved. With years of experience and knowledge in dealing with the government and the IRS for tax debt related issues, a tax debt resolution specialist can understand your situation and suggest the best possible solutions. A tax debt attorney can review your past returns to make sure that the tax bill is accurate. We can communicate directly with the government to resolve issues on your behalf. Can my tax debt be resolved for less than what I owe? You may be eligible for an IRS payment program, where certain tax debt cases get settled at a lower repayment rate. It’s better to consult a tax debt resolution firm or hire a tax attorney as your representative for matters like these. What makes the IRS accept an Offer In Compromise request? When an OIC is submitted to the IRS, the organization will consider your asset equity, income, expenses and other financial factors to determine your RCP (Reasonable Collection Potential). The RCP is then compared to your total tax liability. An OIC will be accepted if the taxpayer offers an amount that is equal to or greater than the RCP. Will bankruptcy resolve my tax debt problems? If you have tax liens filed against you, you can cannot simply discharge them by filing for bankruptcy. A tax lien will continue in effect until they are paid off or released via valid reasons. Hire The Best Tax Debt Defense Team in Connecticut Today! Looking to hire a tax debt resolution expert to resolve your current tax debt issues? You have come to the right place. Simply give us a call at 800-600-4300 or schedule a free consultation with us to bring your financial life back on track.